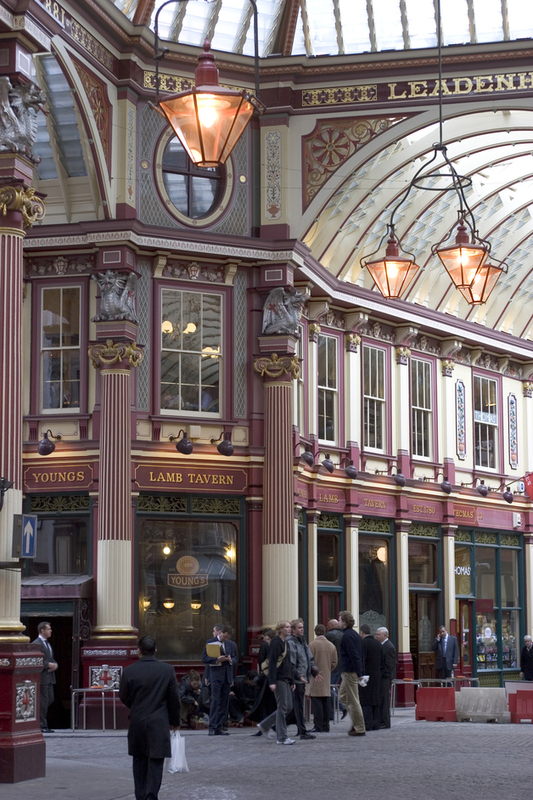 Leadenhall Market is a restored Victorian covered market that sells traditional game, poultry, fish and meat. Although there has been a forum (market place) on where Leadenhall Market stands today since the first century AD, the current wrought iron and glass building was designed in 1881 by Sir Horace Jones (architect of Old Billingsgate and Smithfield Markets). Close to the Lloyd's of London building and the Bank of England, it's a popular place for city workers on lunch break so the best time to visit is early lunchtime as it gets very busy by 1pm. It's open Monday to Friday from 11am to 4pm and is found in Whittington Avenue, off Gracechurch Street. Leadenhall is not only a scenic market place which makes for a lovely stroll around, it also sells some of the finest food in London. What are the best dining options near Leadenhall Market London? Leadenhall Market gyms, sporting activities, health & beauty and fitness. The best pubs near London Leadenhall Market. Leadenhall Market clubs, bars, cabaret nights, casinos and interesting nightlife. Where to have your meeting, conference, exhibition, private dining or training course near Leadenhall Market. From cheap budget accommodation to luxury 5 star suites see our deals for Leadenhall Market hotels, including DoubleTree by Hilton Tower of London from 87% off.